Getting an accurate diagnosis is often the painful part of people’s gluten-free story. I know it was for me. Once you understand what’s wrong with your body, you’re empowered to make healthy choices. But misdiagnoses can be as terrifying as they are dangerous. It’s a lot easier to find a favorite brand of gluten-free frozen pizza than it is to hear you have crohn’s disease or worse. I can’t “do it all over again”, but I can share what I’ve learned from my experience with you. My hope is that you’ll be able to find a good doctor, ask her the right questions, and have a fast and relatively painless diagnoses process. The best thing you can do for yourself is to prepare for your doctor’s visit. You are your own best advocate. Empower yourself with the information to get an accurate diagnosis, fast. Since you’re here, chances are you have at least some understanding of what celiac disease is and how symptoms manifest in the body. Being able to talk knowledgeably about celiac disease will help you in the doctor’s office. For the basics, check out our Celiac Disease 101 resource page. Bringing a food journal will help a doctor get more clarity around potential causal relationships between what you’re eating, and the symptoms you’re having. For a week or two before your appointment, write down everything you ingest. This includes foods, liquids, vitamins, supplements – everything. Be as detailed as possible. Include the times you eat, as well as the times you experience symptoms. At this point you should not be eliminating anything from your diet. Cutting out gluten before your diagnosis may cause a false negative. Research whether or not you have family members with celiac disease. Talk to individuals with celiac disease about their diagnosis experience. Collect both anecdotal information from online forums, and scientific information from published journals. Write down this essential information so you don’t find yourself struggling for the right words when it comes time to stand up for yourself. There’s nothing more infuriating than feeling like your doctor isn’t listening to your concerns. You want to make sure that you generally trust your doctor. There are a few ways to hedge your bets. First, if you know someone who was diagnosed with celiac disease by a doctor in your area, ask them how their experience was and get that doctor’s information. Celiac support groups are a good place to find this information. Second, be upfront about your concerns when you schedule the appointment. Say that you’ve been having common symptoms of celiac disease or gluten intolerance and are looking to get tested. If the person you speak with asks you to spell celiac disease or otherwise indicates that they’re puzzled or confused about celiac disease, it’s a bad sign. Consider doing some additional research to find a different provider or a specialist. The doctor or nurse practitioner you speak to may recommend you to a local specialist. This is usually great news. The fact that they both know what celiac disease is and know someone who is equipped to test for it indicates level of awareness that’s still relatively uncommon in the medical community. Shocking, but true. You want to have your questions written down and ready to go before you enter the doctor’s office. Bring a small notebook with your questions, and a pen to take notes. It can also be helpful to bring a close friend or family member with you to facilitate effective Q&A with your doctor. Bringing someone with celiac disease who has been through the diagnosis process can help you identify the most important questions to ask, and be assertive on your behalf if they suspect that doctor is giving you a misdiagnosis or otherwise doing you a disservice. You should prepare for the questions the doctor may ask you about personal and family medical history, and your symptoms. Whether you go by yourself or with a friend, don’t be afraid to ask for a clarification. It can be easy to accept things at face value, especially when the person giving you that information is your family doctor. 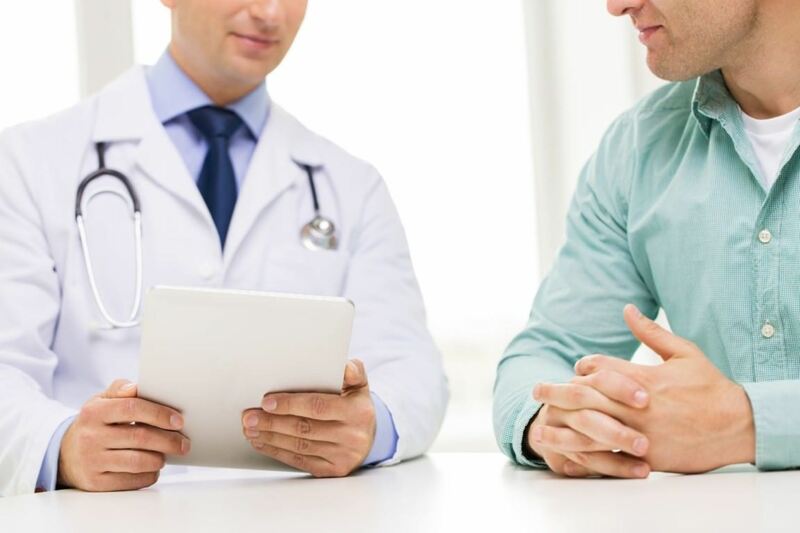 You want to leave the doctor’s office with a complete understanding of what the doctor said, as well as your next steps in the diagnosis process. According to MassGeneral Hospital Center for Celiac Research, the most common misdiagnoses that doctors mistake for celiac disease are anemia, IBS, psychological disorders (anxiety, depression, hypochondria), diarrhea, and IBD. Many who have been diagnosed with celiac disease report similar stories of misdiagnosis. They go to one doctor after another. First they have Crohn’s disease, next they have depression. They try multiple treatments that don’t seem to do any good. Finally, they find a doctor that gets it. They take the blood tests, have the endoscopy, and discover they have celiac disease. You can save your time and money by getting a second opinion fast. your doctor’s attitude is flippant or dismissive. your doctor makes any dramatic diagnoses with little evidence. Note: This is another instance when asking a friend or family member with celiac disease to come along to your appointment can be useful. If they think you should get a second opinion, it may be worth a second shot.